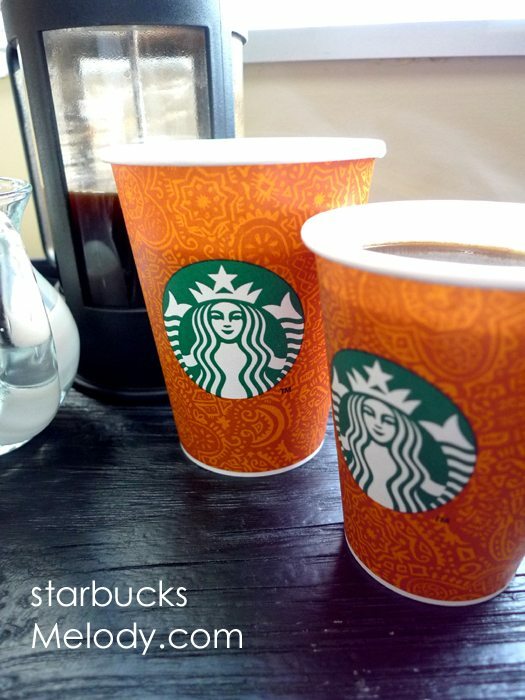 On July 27, 2011, Starbucks Indonesia launched a seasonal Ramadan cup with a beautiful batik-style design. My understanding is that this is about the fourth year in a row that Starbucks has offered Ramadan cups, and that they’re in use in Indonesia and the Middle East. This year’s design is all new. From what I hear, the last previous several years all had the same design. I apologize that I have no photos of the previous years’ designs. I don’t have much to say about these cups, but I did want to share this photo here. The cups look very elegant to me. I am charmed by them! I thought it was possible that most of my readers are unaware that there are Starbucks Ramadan cups, and so I thought you-all would enjoy seeing them. As far as I know, Ramadan this year begins on August 1, 2011, and ends on August 29, 2011. What do you think of these cups? Do you like the Ramadan cups? Please do tell! You can see a current Starbucks Indonesia tumbler in this blog post here. Those are beautiful! I love how Starbucks uses designs like these to change it up a bit just for a little while! Makes me excited for the Red cups, or the possibility of them putting out a random special cup like that one with the Anniversary Blend style siren that said “It’s not just coffee, it’s Starbucks”. Or the heart cups, those were cute too! WOW – I never knew but now LOVE LOVE LOVE Starbucks even more! I am part of an interfaith family and my Hubby is currently observing Ramadan. Oh how I would love to get a hold of one of these without having to head to the Middle East, West Asia/India, or East Asia to get one!!! Your dates are correct for Ramadan this year. It moves forward approximately 11 days every year (meaning we are just starting to get to the longest days of fasting during the June/July months) and is based on a lunar sighting every year. Thank you for posting about this! I am going to write corporate a letter of thanks! Now if only they’d bring it to America (or at least Seattle) in celebration! @CAKhan Welcome to the blog! Definitely do write them a letter. I think you could grab one of those pamphlets at Starbucks that says, “We’d Love To Hear Your Thoughts” and suggest the cups that way too. Happy Ramadan to your family. I really hope I can find these on my Istanbul trip next week…I have heard about these cup on Starbucks Indonesia’s Facebook website and I just love their design! This is cool. Several of us have made comments in the past about how we like the stores that incorporate a personal part of the neighborhood. Nice to see Starbucks doing this and extending that idea further. I have some Ramadan cups from last year. They are truly beautiful. I picked mine up in KL and Singapore. They even had seasonal drinks. I gotta admit I like the new design. I’ll be taking some home. I’ll be in Istanbul in a few weeks time. @Hayley – I can imagine that if you’re in a country that uses these cups, you’d feel all the same excitement that people feel when they see the red cups at Christmas! @CD – Very cool – I think this is what Howard always calls “local relevancy” or “locally relevant products” when you hear him speak about international markets. I just went on @sbuxindonesia and saw a picture of a Soy Black Sesame Green Tea Cream Frappuccino, but I didn’t see any hot drinks 🙁 That sounds so exotic to me, I love hearing about the international drinks…they can be so different! Hayley – Im on my phone srry sloppy. Speaking of seasonal drinks, I think that Australia has orange syrup right now, as a winter promo drnk. Wouldnt it be awesome if that came here nexr? Very sharp looking! I love seeing stuff on here that I would never know about otherwise! I would have thought that coffee wouldn’t be sold during Ramadan. Interesting how starbucks assimilates to the season. These cups are amazing. I wish we could have them here! I love them! i’ve seen campaigns to bring more designs to starbucks cups, year round, but as far as i know, none has ever been successful. it would be cool though, in my opinion, to get at least a few more seasonal designs. The colors are so bold and beautiful! Love seeing cultural things like this at Starbucks! I really don’t know anything about Ramadan but I heard you can only eat and drink after the sun has set. I wonder how that effects the revenue of Starbucks stores in Indonesia? @Elly – I always vacillate on the idea of more seasonal designs. Customers love them. A part of me wants to encourage more personal cup use, and not to go cup use. These are gorgeous cups though! @Kaori – LOL – I wonder too if Starbucks in Indonesia right now are doing a busy evening business and little day time business? I think the Ramadan cups are really pretty and it’s great that Starbucks does that in the areas of which there are large Islamic communities. Thank you for sharing them with us! Darn it, now I want the red cups! Does anyone else out there get just a little sad when the white ones return?? Hi Karen! Thanks for commenting on the blog. It’s true, the white cups look a little plain after a season of red ones! But since the red ones are seasonal, that’s part of what makes them special. It looks like I have more than one Karen writing on the blog. Maybe you could customize your name someday. You could be KarenA or KarenZ?? Oh well! These are really nice! Thanks for sharing. Thanks for sharing Melody! These are just beautiful! If I had one I would wash it and reuse it over and over again! If I had one I would wash it and reuse it over and over again! Hi Karen! Very sharp looking! But since the red ones are seasonal, that’s part of what makes them special. Love it!! There’s nothing more I look forward to during Sahur than my hot brewed starbucks cup of coffee! Thanks Starbucks for making Ramadan a little extra festive!